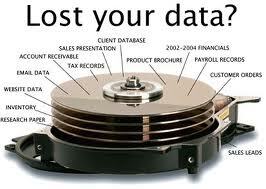 All HARD DRIVE, CD, DVD, MEMORY STICK, USB DRIVE, SIM CARD will crash one way or another for some reazon. If you loss your data files, photos, accounting, invoices, contracts, trade secrets and other files that are essential for doing business and other important information, or your hard disk fail definitively, and you don't have your computer backed or imaged up to date. Let us to do the first intent to recuperate your main data, family photos or memories, and other important documents. We only charge for data recovered. If no data is recovered, no fee will be charge, our policy is No Fix No Fee! If we can't help you do not pay anything! If your hard drive or storage media is damaged to physical level, our partner Datalab, Inc. with their highly trained data recovery engineers, using advanced recovery methods can replace parts such as drive heads and chips, and then recalibrate and rewrite the firmware to get your hard drive reading so we can recover your data.